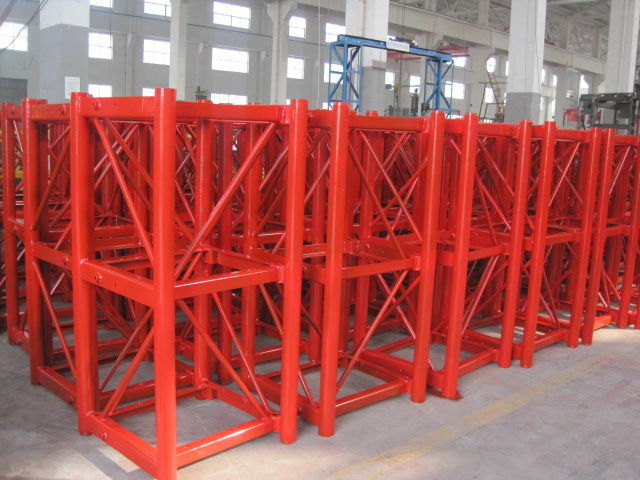 Mast section can be used for building hoist, tower crane and mast climbing platform. The size can be 650*650*1508mm, thickness can be 4.5mm, 6.0mm and 8.0mm. surface treatment can be hot dipping zinc and steel with painting.we also can make as per client’s design. Used for tower crane, building hoist, and mast climbing platform. We offer hot dipping zinc and steel with painting type. We offer good price with good quality.